The Union Cabinet has approved amendments to Article 280 and Sixth Schedule of the Constitution. Members of the Khasi Hills Autonomous District Council (KHADC) were divided on whether the council elections slated for February 27 should be postponed in view of the Union Cabinet’s approval to amend the Sixth Schedule and Article 280 of the Constitution. A meeting of members of the KHADC convened by its Chief Executive Member (CEM), HS Shylla on Friday could not arrive at a unanimous decision due to division of opinion. “There were reactions from the members on the issue. There are members who are in favor of the need to extend the tenure of the Council so as to ensure that the elections should be conducted only after amending the Sixth Schedule and Article 280 of the Constitution,” Shylla told reporters on Friday after the meeting. He also said that there were also members who wanted that the elections should be held as scheduled since the amendment to the Sixth Schedule and Article 280 would not happen immediately. “I personally wanted the elections to be held after amending the Sixth Schedule and Article 280 so that we can enjoy the benefits that would come soon and not to wait five years after the amendments,” Shylla said. Shylla said that since the Union Cabinet has approved the amendments, it would not take time for both Houses of Parliament to pass an Amendment Bill. On Wednesday, the Union Cabinet had approved amendments to Article 280 and Sixth Schedule of the Constitution. 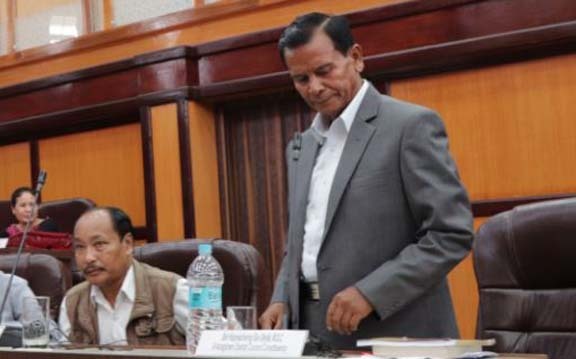 These amendments will significantly improve the financial resources and administrative powers of the ten Autonomous District Councils of Assam, Meghalaya, Mizoram and Tripura. Through these amendments, funds would come from the Centre under Article 280, and the number of seats would also increase in these Councils. Anti-defection law to prevent defection of members from one party to another will be also in place.